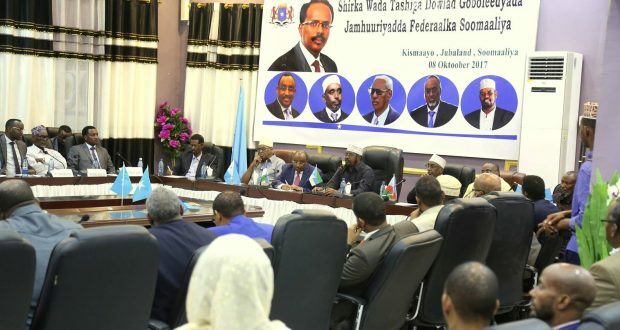 Waagacusub.com - Somalia is mired in out of control political and security situation created by broken electoral promises, egregious abuses, and foreign policy blunders committed by the federal government of President Mohamed Abdullahi Farmajo. The Gulf crisis, the moratorium of the Federal Member States (FMS), and the surrender to the manipulations of divide and rule of Ethiopia have elevated public pessimism and stoked intense acrimony between federal and state leaders, which have exacerbated Somalia's vulnerability and relapse into chaos. Federal Government could soon be isolated for directionless. The "do nothing” federal parliament, the uncalled for attacks against the FMS leaders and the politicization of the security forces and justice have dramatically made impossible the already arduous task of building democratic state in Somalia. The high casualties and destruction caused by the Al Shabab attacks since 2017 with no hope of relief in sight as well as by the misuse of federal state power and resources have squandered public dependence on the federal government. The justification for federal democratic state is quoted in the "study on decentralized political structures for Somalia: Menu of Options,” published in August 1995. The authors of the study argued, "Amongst Somalis there appears to be widespread enthusiasm to avoid the creation of any overly powerful central government, like that of former dictatorship.” Therefore, Somalis went along with the choice of experimenting a federal system aimed at distributing the sovereignty and powers of the Federal Republic of Somalia between different levels of state entities. While haggling on the federal road, the administration of President Farmajo chose to scuttle the federal democratic process that vested a counterbalancing power in the FMS. Third, the President and his team display contempt against international partners concerned on their political follies under the misuse of "no interference in the internal affairs.” Recently, in response to press statement of the International Community on the unfolding crisis in Southwest State, the security advisor of President Farmajo said in twitter, "Do not interfere in the internal affairs of Somalia… this attitude is unwelcome!” This belies the obligations of mutual accountability framework between the federal government and the international community as stakeholder.